Meandering through the center of the community is the Mission Del Lago Golf Course. The course has been described as a British-style links course as the flatter, rolling land resembles original courses found in England and Scotland. It was designed by Denis Griffiths, the only American golf architect to design a course in St. Andrews, Scotland. With large greens, long views, tree-lined fairways, and multiple bunkers on a link-style course, Mission Del Lago provides challenging play for every type of player. The course is an inviting place for all golfers as it features a wide selection of tee boxes ranging from 5,300 yards (Women’s Back) to 7,044 yards (Men’s Back). Don’t forget that Mission Del Lago is a great place to work on your game, too. 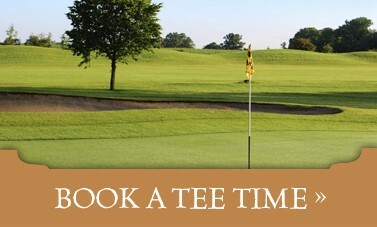 The facility offers a large practice green, chipping course, and driving range. But this amenity is appreciated for more than its recreational opportunities. Wide expanses of green, scenic water hazards along the course, plus the natural views afforded by its shoreline location on Mitchell Lake, introduce a beautiful spot into the community that brings value to all those who enjoy it and live among it. Mission del Lago’s full-service golf facility features 18 holes of golf, a large practice green, a driving range, a pro shop, and a restaurant. The course is managed by the Municipal Golf Association San Antonio (MGASA) as part of the Alamo City Golf Trail, which includes seven San Antonio courses. The public course offers day-use play as well as Players Club memberships. Special benefits are available for Mission del Lago residents.